This ladies v-neck is a sure favorite! 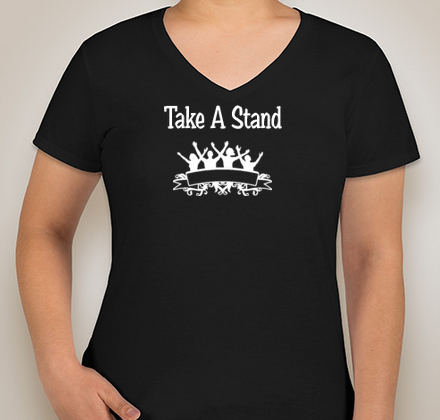 Looking good and priced right, this ladies v-neck offers style while making a bold statement and taking a stand for a great cause. Coordinates with the Men’s V-Neck T-shirt.